Bedfordshire Police is celebrating some positive results from the force’s new dedicated burglary initiative, Operation Fidelity, following a bumper week for the project. Last Tuesday (January 26) a 15-year-old from Leighton Buzzard was arrested and later charged with six counts of receiving stolen goods. 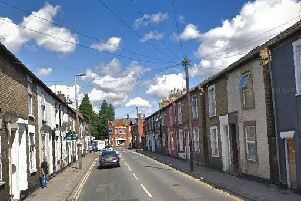 The items were linked to burglaries in Leighton Buzzard. The teen was detained pending a court appearance. In the early hours of Thursday (January 28), reports were made by a resident to the force of suspicious activity taking place at the Co-op store in St John’s Street, Kempston. Officers immediately attended and disrupted a burglary in process. A pursuit was carried out, before partners in the Bedford Borough Council CCTV control room alerted police to further suspicious activity taking place. The work resulted in two men being arrested on suspicion of burglary. Later the same day, Peter Smith, 33, of Hitchin Road, Arlesey was arrested and later charged with burglary, in connection with a Biggleswade offence. He has been remanded into custody pending a further court date. On Friday, Lowen Sweeney, 24, of Wadsworth Court, Bedford was arrested and charged with burglary in connection with a break-in at Bedford’s Cardington Road. A 16-year-old boy from Stewartby was also arrested and charged with conspiracy to burgle, following joint working with our partners in Hertfordshire Constabulary. Also on Friday, a prisoner currently serving a sentence for burglary admitted further offences before a court, receiving an additional sentence to his current term. Jason Smith, 29, was given a seven-year sentence to run concurrently with his current six-year term. This was following close working with Fidelity’s burglary cohort team, who conduct prison visits as part of rehabilitation and prevention initiatives. Detective Inspector Duncan Young, of the force intelligence department and Operation Fidelity, said: “Results like these are becoming increasingly more common since we began our innovative new approach to tackling burglary, while our instances of this type of crime continue to drop year on year. “What’s key in some of our recent activity is that we are getting information reported to us by residents and partner agencies, demonstrating a more effective way of working with others to protect the public. Burglary in Bedfordshire is currently down by 23 per cent in the year to date compared with the same period last year. You can get further insight into the work of Operation Fidelity at: https://bedspolice.wordpress.com/2015/12/23/operation-fidelitys-12-days-of-christmas/.